Have you ever been misled by “cherry-picking”? I bought a new car last week! – a new Hot Wheels car. I won half a million dollars yesterday! – in a game of Monopoly. Details matter, and the omission of important details can result in the spread of false impressions. 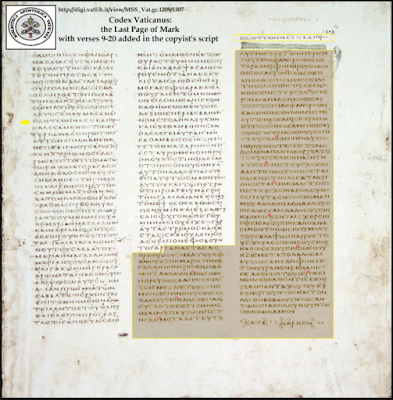 In a recent blog-post titled More on Rethinking the Textual Transmission of the Gospels, Dr. Hurtado claimed that John 7:53-8:11 “first appears in the extant manuscripts in the fifth century.” Technically, it is true that we have no manuscripts made before the 400s in which the passage appears, just as it is technically true that I recently bought a new car and won half a million dollars. But the impression that that statement gives – that the passage did not began to occupy that location in the Gospels until the 400s – is false. The risk of conveying such a false impression could have been avoided if Dr. Hurtado had shared just one more bit of evidence: Jerome’s testimony that he had found the story of the adulteress in many manuscripts, both Greek and Latin. Or, if Jerome is too obscure an author to be considered worth mentioning, perhaps the testimony of Ambrose would have been sufficient. A writer resorting to less cherry-picking might inform readers and students about the different types of early Latin breves, or chapter-summaries, which refer to the story about the adulteress in its usual place in the Gospel of John – including Type I (generally regarded as contemporary with Ambrose, and with Zeno of Verona) and Type Cy; the “Cy” stands for Cyprian, the prominent author and bishop in the 200s; this form of the breves has been assigned to the time of Cyprian or slightly later. If the composition-dates that have been given to these chapter-summaries are correct, then their testimony implies that the pericope adulterae was in Latin copies of the Gospel of John in the 200s. More cherry-picking is in Dr. Hurtado’s description of evidence pertaining to Mark 16:9-20. 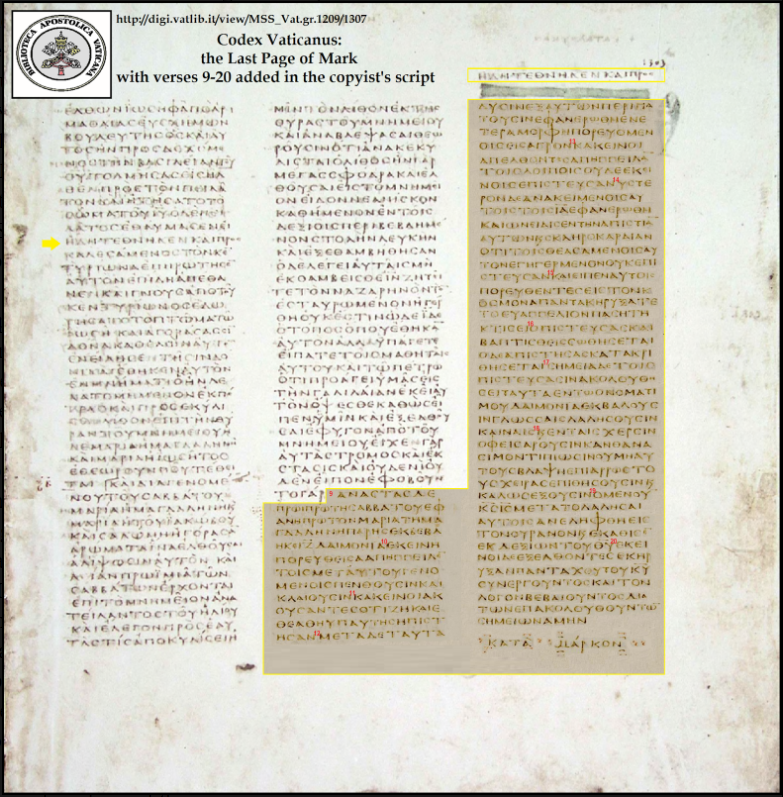 “The first Greek manuscripts that allow us to check the matter are Codex Vaticanus and Codex Sinaiticus, which don’t have these verses.” That is technically true, but why has Dr. Hurtado mentioned these two manscripts from the fourth century without mentioning the much earlier testimony of Tatian and Irenaeus? Tatian incorporated the passage into his Diatessaron in the 170s, and Irenaeus specifically quoted Mark 16:19 from the Gospel of Mark, in Against Heresies Book 3, chapter 10, around the year 180. Here we have two pieces of evidence, both well over a century older than Vaticanus and Sinaiticus. Why are they hidden from view? Some of Dr. Hurtado’s readers might imagine that the testimony of Tatian and Irenaeus has been avoided because if their testimony were given a spotlight, it would be extremely difficult to convince anyone that the picture that Dr. Hurtado has painted of the history of Mark 16:9-20 can be plausibly maintained. in the manuscript after 16:8. And why did Dr. Hurtado mention Vaticanus without also mentioning its special blank space after Mark 16:8? Why did Dr. Hurtado mention Sinaiticus without mentioning that the last part of Mark and the first part of Luke occupy a cancel-sheet – that is, four replacement-pages, on which the lettering has unusual features that indicate the copyist’s awareness of the absent verses? Again, students and readers might be forgiven for imagining that such information has not been shared because it makes Dr. Hurtado’s theory appear contrived. 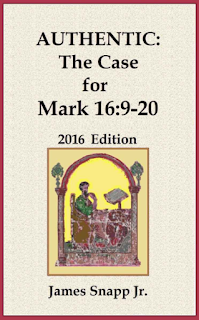 Finally, why did Dr. Hurtado describe Mark 16:9-20 as part of “the Medieval text of Mark,” instead of “The Second-Century Text of Mark,” in light of the testimony of Tatian and Irenaeus? (And the testimony of Apostolic Constitutions and Ambrose and Augustine and Macarius Magnes and Marcus Eremita and some others who wrote in the time of the Roman Empire). How is that not just spin? Spin is exactly what it is. Dr. Hurtado stated, “To find the variant in the manuscript tradition we have to go to later, to the fifth/sixth century, in Codex Alexandrinus, Codex Bezae, and others.” (As if the presence of Mark 16:9-20 in Codices A, D, W, the Vulgate, and the Peshitta does not imply a much earlier ancestry.) But we have more evidence besides just manuscripts; why would anyone put on blinders by ignoring the widespread patristic evidence that demonstrates that Mark 16:9-20 was in widespread use in the early centuries of Christianity? Why point out the testimony from Sinaiticus (c. 350) without mentioning the testimony of Aphrahat (337)? It might seem to some readers and students that a lot of evidence that is inconvenient for their professor’s proposal has not been presented – at least, it would seem so, if somehow they were to learn about that evidence’s existence. A third variant was mentioned by Dr. Hurtado, and I will mention it just for the sake of thoroughness. The scenarios involving John 7:53-8:11 and Mark 16:9-20 are nothing like the scenario involving Dr. Hurtado’s third variant, the Comma Johanneum. Its adoption in the Textus Receptus was the result of Erasmus’ statement (after he had compiled the Greek text without the Comma) that if he had possessed a Greek manuscript with the passage, he would have included it), plus two other things: Erasmus’ desire to make another edition, and the premiere of Codex Montfortianus. This is no more like the situation regarding Mark 16:9-20 – a passage with second-century patristic support, and which is included in over 99% of the Greek manuscript of Mark – than Barney Fife is like the Incredible Hulk. If you want to be taught about the transmission of the early New Testament text in a way that treats the evidence fairly, without having your professor mold the evidence, and pick and choose which evidence gets a megaphone, and which evidence is silenced – my impression is that you won’t find what you’re looking for at the University of Edinburgh. Asbury Theological Seminary isn’t a good option either. One more thing: Dr. Hurtado recommended Bruce Metzger’s Textual Commentary to those who want more information about the variants he mentioned. Let it be noted that Metzger’s Textual Commentary contains misleading statements about Mark 16:9-20. Also, dislocations of John 7:53-8:11 occurred due to the influence of lection-cycles, not (contra Metzger, Wallace, White, et al) due to the untenable idea that the pericope adulterae was a “floating” text (a theory which has been tested, and dismantled). One more one more thing: from now till Christmas, upon the request of any student at the University of Edinburgh and Asbury Theological Seminary, I will gladly send a digital copy of my research-books, Authentic: The Case for Mark 16:9-20, and A Fresh Analysis of John 7:53-8:11, free of charge. Readers are invited to explore the embedded links in this post for additional resources. Thank you so much for an excellent article! Please send me your free digital copy of the two books mentioned. God bless. James E Snapp Jr.: I think you are taking Hurtado out of context. First, he seldom pens extensive blogs. Normally, they are short, making one point. Second, his focus is on the copying habits of the primary source of the original language texts. Third, the point of the blog is to discount the long-held belief that the early period of copying the ORIGINAL LANGUAGE text was "wild." Thus, he cites brief examples showing that is not the case. You are basing his article on your idea of what you think he should be saying, not the intent of Hurtado. It was not his intent to argue that John 7:53-8:11 and Mark 16:9-20 are interpolations, which had it been, he would be required to address all of the evidence. HURTADO's INTENT was to question "the paradigm/model of an early 'wild' period of textual transmission of the Gospels and a subsequent/later period of textual stability" in the original language manuscripts. Talk about misrepresenting the evidence. How about misrepresenting the author. Let me give you an analogy. A person buys GREENLEE's Introduction to New Testament Textual Criticism on Amazon and then gives it a one-star review because it is not advanced enough, even though, the book clearly says INTRODUCTION. Or, the opposite, someone buys The Text of the New Testament in Contemporary Research on Amazon and then gives it a one-star rating because it is too deep and complex when it is apparent that it is was written for advanced students. "We have had too many cheap and hasty deductions from insignificant or insufficient data." ...A sword that cuts both ways. I've been critical of Dr. Hurtado elsewhere on this blog for not correctly identifying the contents of an early manuscript--quite possibly THE earliest manuscript for the passages it covers, and certainly the earliest parchment to contain the Byzantine reading for Luke 22:44--an inconvenient fact that is usually suppressed in any discussion of the passage. Now, it's a mistake that anyone could make--I've made such mistakes myself. But teachers are held to a higher standard, and it's important, for honesty's sake, that they admit that they are sometimes wrong. His bias is easy to see, when he looks at two different readings and assumes that one preceded the other, when it's also possible that things were the other way around. "Readers are invited to explore the embedded links in this post for additional resources." By the way, I thought that Wikipedia article on cherry-picking cherry-picked examples of cherry-picking in a way to only cast people the editor disagreed with in a bad light. ark 16:9-20. His Exhibit B: John 7:53-8:11. Without these two passages presented persuasively as if they are both late readings, he has nothing (other than the Comma Johanneum, which might as well be nothing as far as Greek MSS are concerned) on which to build his case. And if the evidence for those two passages were presented thoroughly and accurately -- without avoiding any mention of Irenaeus, or the various fourth-century witnesses for the pericope adulterae -- nobody would ever imagine that either passage is a late accretion. That is, no one would think that Hurtado's main point is true. Except that's a false accusation, because I'm not misrepresenting the author at all. Larry Hurtado really attempted to give his readers the impression that Mark 16:9-20 and John 7:53-8:11 are late accretions. And his attempt involved avoiding mentioning important pieces of evidence. That's cherry-picking, and we both know it. James, as you blogged against me in a personal attack without even letting me know (sort of like a drive-by shooting), may I respond to correct your misreading (and so misrepresentation) of my posting? I didn't claim that the "long ending" of Mark or the pericope of the adulteress appeared only later. My point was that they came to be a firm part of the Greek textual tradition of Mark and John respectively only later (5th century & thereafter). My concern wasn't for the authenticity of either variant, but to make the point that our standard model of textual transmission (and early "wild" period, and a later period of stability) isn't adequate. Instead, it appears that, though these and other variants appeared early (2nd century? ), the didn't become standard parts of the text until later, and so there must have been factors in the Byzantine period that promoted their wider acceptance. If you really think that you're not giving people the impression that Mark 16:9-20 was produced later, when you mention that "we have to go later, to the fifth/sixth century," to find it, as you avoid mentioning Irenaeus (second-century) and other early patristic evidence, there's not much more I can say, except that you're wrong. And if you really think that you're not giving people the impression that John 7:53-8:11 was produced later when you mention that it first appears in D, without mentioning evidence that shows it existed well before that time, again there's not much more i can say, except that you're wrong. I didn't say that you did; only that you gave that impression via cherry-picking. (Thus the title, "Cherry-picking in Edinburgh.") You might not realize or admit that that is what you did; but there it is nevertheless. And that is a point that should be contested, because Mk. 16:9-20 is supported by very substantial and very widespread patristic evidence from before the end of the 5th century. None of which you mentioned. (Re: John 7:53-8:11 we're looking at a unique case, an omission elicited by a glitch related to early lection-cycles.) Instead you talked about it as part of the "Medieval" text. Ask yourself, "If I had mentioned Irenaeus and Justin and Tatian and Epistula Apostolorum and Hippolytus and De Rebaptismate and Vincentius of Thibaris and Hierocles and Acts of Pilate and Marinus and Apostolic Constitutions and the Vulgate and Epiphanius and Marcus Eremita and Augustine (and his Greek MSS) and the Peshitta and Patrick, [not to mention Codex W and Metzger's description of when the Freer Logion was composed], would anyone believe me if, after that, I had said that Mark 16:9-20 was not a normal part of the text until later? There's a difference between circumstances in Egypt, and the situation everywhere else, and to treat Egypt's situation as if it was typical is to effectively put on blinders. Freeze that frame. You Just Said that you weren't trying to address the question of the authenticity or inauthenticity of these readings, and then You Just Said that these readings "didn't become standard parts of the text until later," which implies that they are accretions. Do you really not see the inconsistency there? You weren't arguing for the position that these two passages are inauthentic, but you were assuming it, and by ensuring that evidence to the contrary was kept out of sight, you were promoting it.